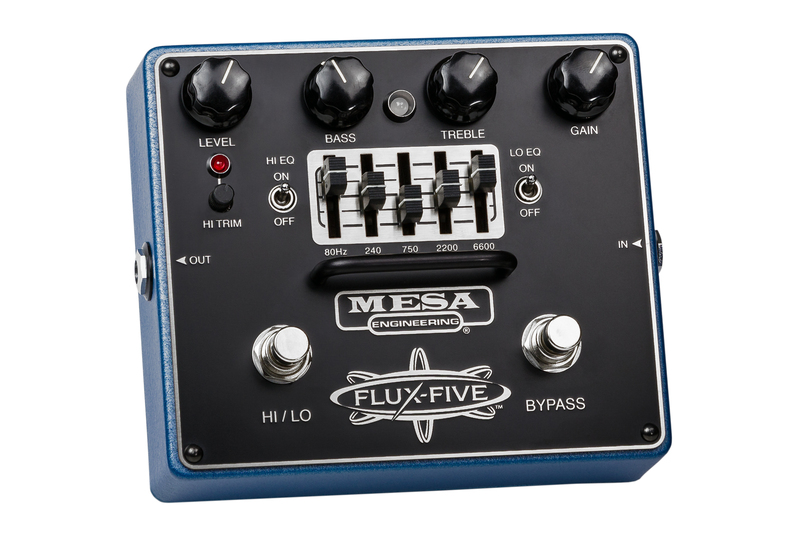 The reception for the FLUX-DRIVE’s fat, smooth, expressive gain has been outstanding among Artists and players alike. 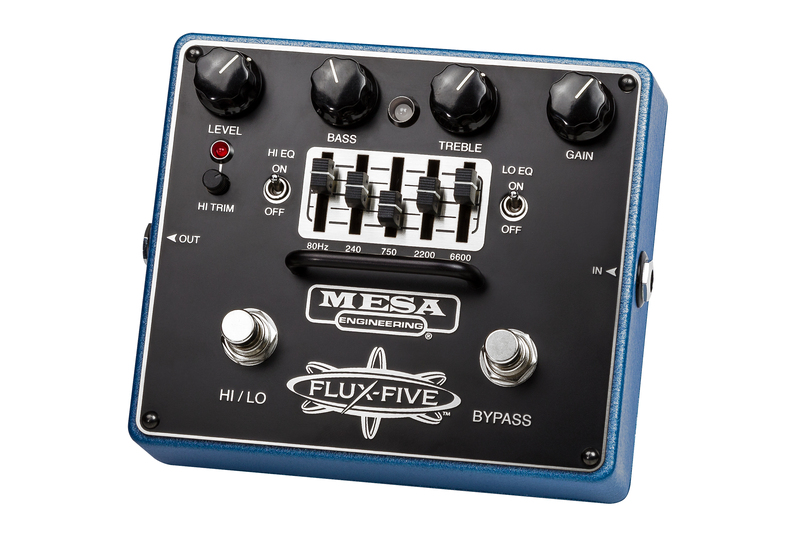 With critical praise from around the globe, it was an obvious recipient for the enhanced power of our Five-Band EQ. 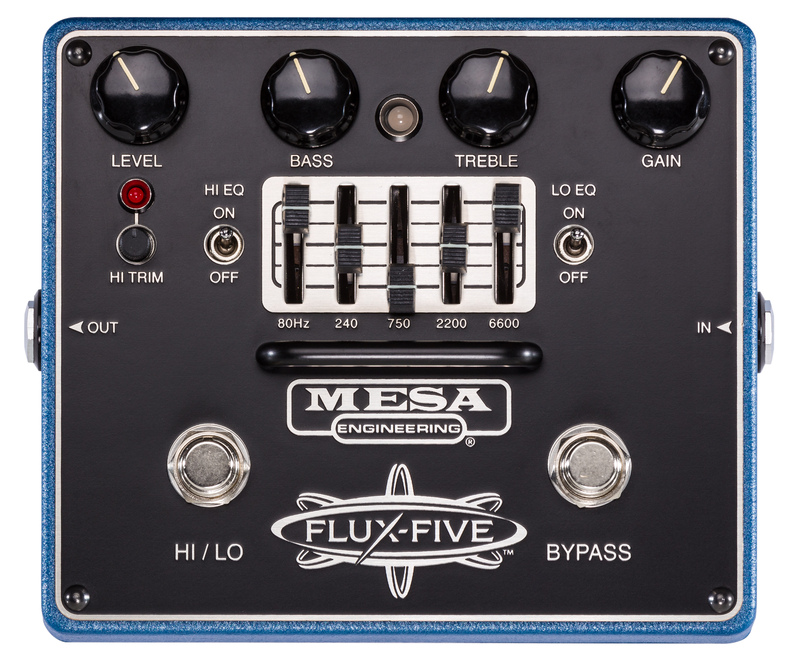 The FLUX-FIVE overdrive is a supercharged version of our popular FLUX-DRIVE that features a “shrunk-to-size” version of our classic Boogie&ref; Five-Band Graphic EQ and new added versatility thanks to footswitchable HI/LO performance Modes. 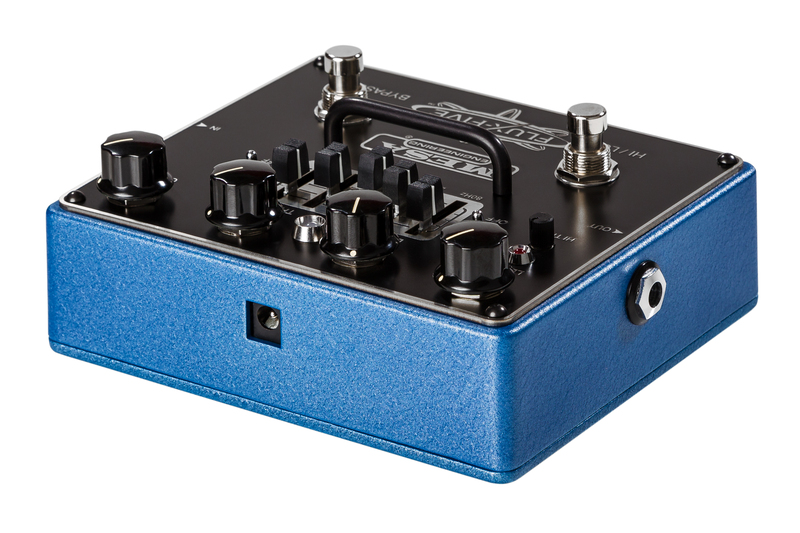 The LO Gain Mode is the original FLUX-DRIVE in every way and now, on this wider platform, a new higher gain version of this soulful sound appears in the HI Mode. The Graphic EQ allows the popular “V-Curve” EQ setting to be applied to its layers of thick gain – creating a huge, wide Heavy Rock or Metal sound that still retains the FLUX’s warm character. The original TREBLE and BASS rotary EQ controls can be used to dial in global enhancements and the combination of the two EQ styles produces signature sounds for any genre.